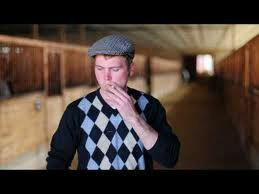 performance art events in Latvia as well as international projects. 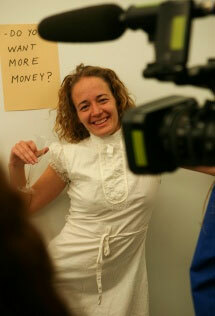 5. to publish books, DVDs, catalogues about performance art in Latvia. Every year in April International Performance festival Diverse Universe in Riga, together with Estonian group Non Grata we participate in project Diverse Universe, moving performance art festival around the Europe. One part always happens in Riga. We organized in 2009 in Naïve art museum and 2010 in club Piens. Contemporary art in Riga. 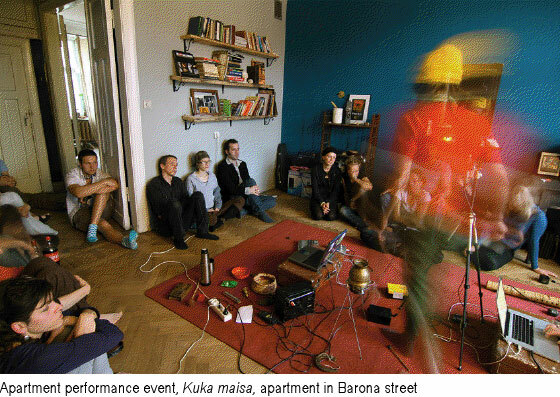 In 2010 we participated with action Apartment, performance event, where 45 artists from 7 countries made performances for one week in private apartment. Every second month – Apartment performance event in private apartment in Riga with participation of 3-5 artists every evening. 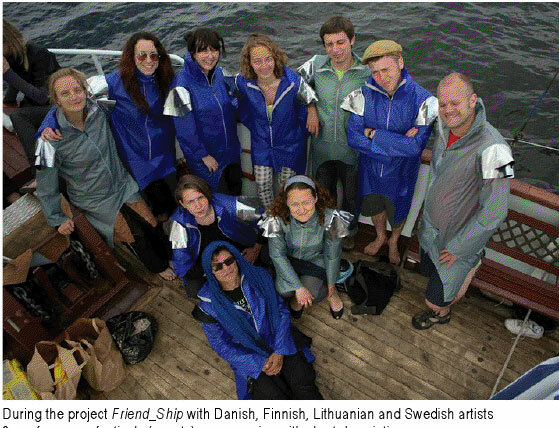 Bigger International projects – like Nordic and Baltic performance art ship Friend_Ship in 2010 with 12 participants from 6 countries (Latvia, Lithuania, Estonia, Sweden, Finland, Denmark). Ship was on the sea for 10 days sealing from Riga to Tallinn, Helsinki, Stockholm, Copenhagen, Klaipeda. In the harbors of all these cities artists made performances. 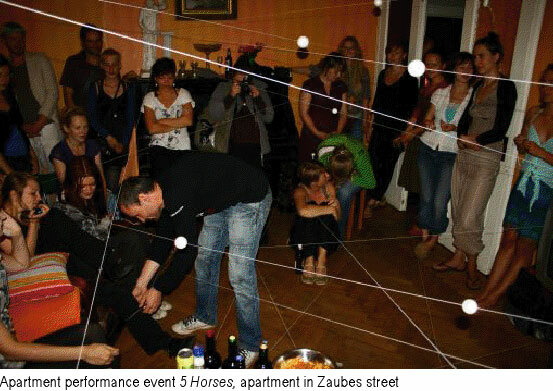 Solo performances by international performance artists in club Piens or during Apartment performance events – Tara Pattenden (Finland), Annika B. Lewis (Denmark).